The classic Chesterfield sofa is given an Italian update by Rugiano Interiors. 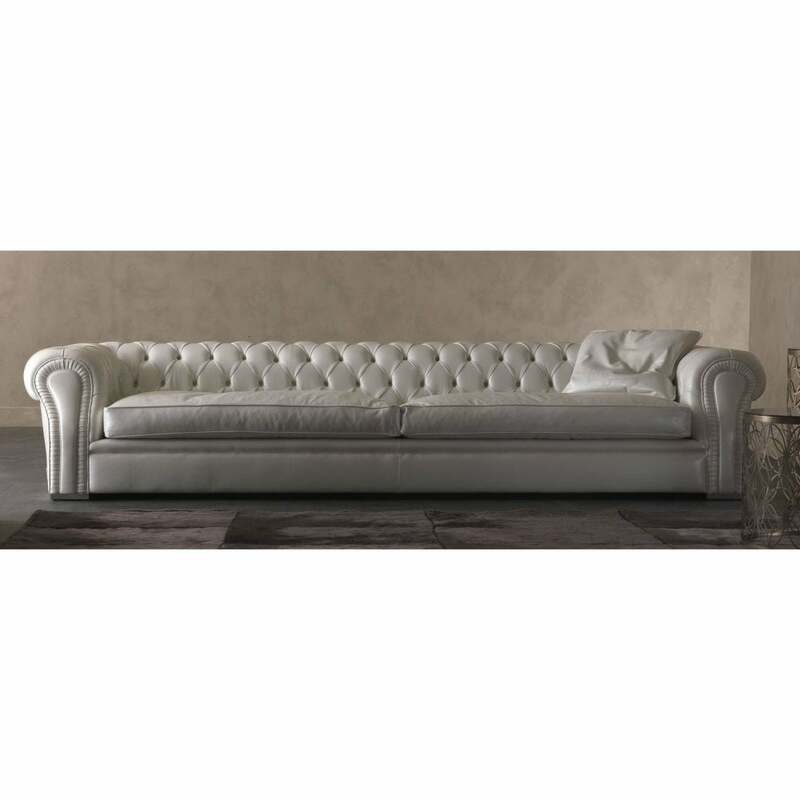 The Nirvana Sofa features Rugiano’s signature capitonné detailing that is expertly crafted by their skilled artisans in Milan. Upholstered in the finest Tessuto fabric and Pelle leather, this versatile design changes it’s character depending on the colours and fabric. Create a soft and sumptuous look in deep blue velvet or a modern and sleek style in smooth white leather. For a contemporary touch choose steel or bronze panelling on the arms. Create your own bespoke sofa design with the available five variations and sizes. The modules include a glamorous chaise longue and a cosy armchair design. Samples are available upon request. Make an enquiry for more information.